One of the World’s fastest rising artists of today, Niclas Castello, is bringing his latest and incredible new series, Cleopatra’s Lips, exclusively to Guy Hepner Art Gallery. 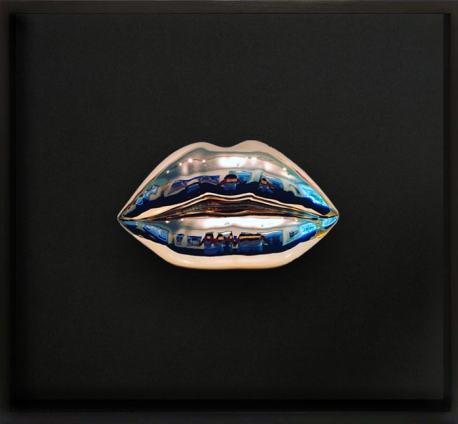 ‘Cleopatra’s Lips‘ are influenced by his previous renowned series of sculptures ‘The Kiss‘, but with a whole new extravagant twist. 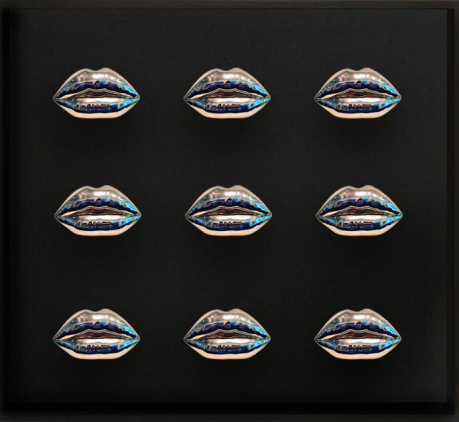 These pieces consist of mixed media using 24 karat gold gilded lips sculpture over canvas and encased in a wooden black frame, making them his most lux and unique pieces yet. ‘Cleopatra’s Lips‘ come in a single framed sculpture, 3 sculptures vertically framed, 4 times and 9 times framed. Inspired by the ready-made concept in art history. His series of luxury fire extinguishers and lips are a direct tribute to the Dadaist and surrealist movements. He takes a functional object of daily life and turns it into an icon through art using the language of neo pop art (luxury brands) and makes it an object one wants to show off. The American performance artist and curator Arleen Schloss, mentor to artists like Jean-Michel Basquiat or Keith Haring, was one of the first to recognize the outstanding talent of Niclas Castello. When Castello decided to leave his home country of Germany in 2004 and move to NYC in 2004, he found shelter at Arleen Schloss’s New Yorker loft. Here, Niclas Castello immersed himself in neo-expressionistic compositions and developed his distinctive style so well-known to today’s art community. Artist Niclas Castello is one of today’s most respected contemporary artists worldwide. In only a few years, Niclas Castello has like no other managed to take the art world by storm and is now named in the same breath as today’s best known contemporary artists. This year alone, Niclas Castello has really set the bars high, having a new auction record for himself with “The Kiss” selling for $27k at Phillips London Auction in April 2015 as well as becoming #69 of 300 most searched artists on Artnet. 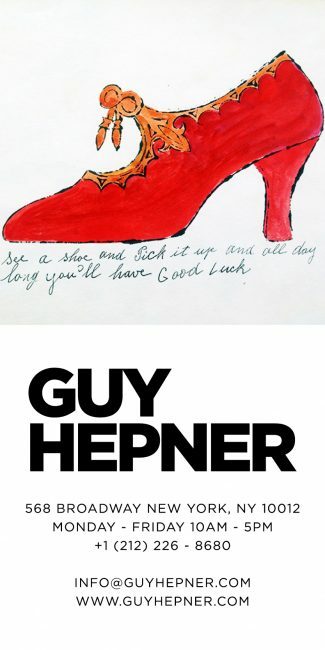 He has become a vital figure in prestigious galleries around the world, where his work is displayed next to the art of today’s most popular contemporary artists such as Andy Warhol, Gerhard Richter, Jeff Koons orDamien Hirst. Guy Hepner Contemporary Art Gallery in New York City is proud to present artist Niclas Castello artwork, The Kiss sculptures, Cleopatra’s Lips,Fire Extinguishers, paintings, canvases for sale. Inquire to buy Niclas Castello Art for sale.